"Graduating Students Welcomed into the Chapel, Commencement ca. 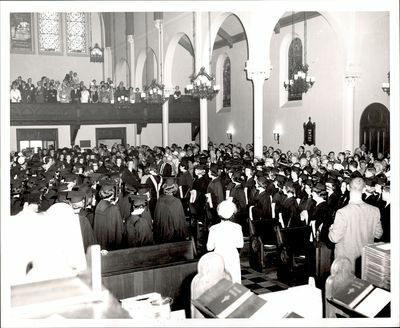 1960s"
Student Commencement Procession March enters Chapel with standing guests. The photo provides a view of the main seating area and a balcony overhead.